Gladiolus is a classic perennial known for its tall flower spikes. 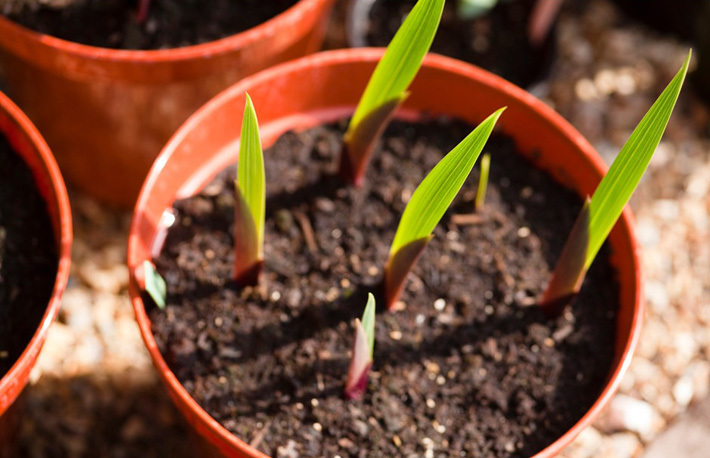 Here’s how to grow gladioli in pots. A little effort planting gladioli corms in spring can yield impressive results in summer. For maximum impact, plant in pots successionally over a few weeks, so you have a longer season of color. Simply plunge each pot into your border when the flowers are at their most spectacular, and replace with a fresh pot when needed. Hardy in U.S. Department of Agriculture plant hardiness zones 7 and warmer, gladiolus works well as a container plant where garden space is limited or in cooler climates. 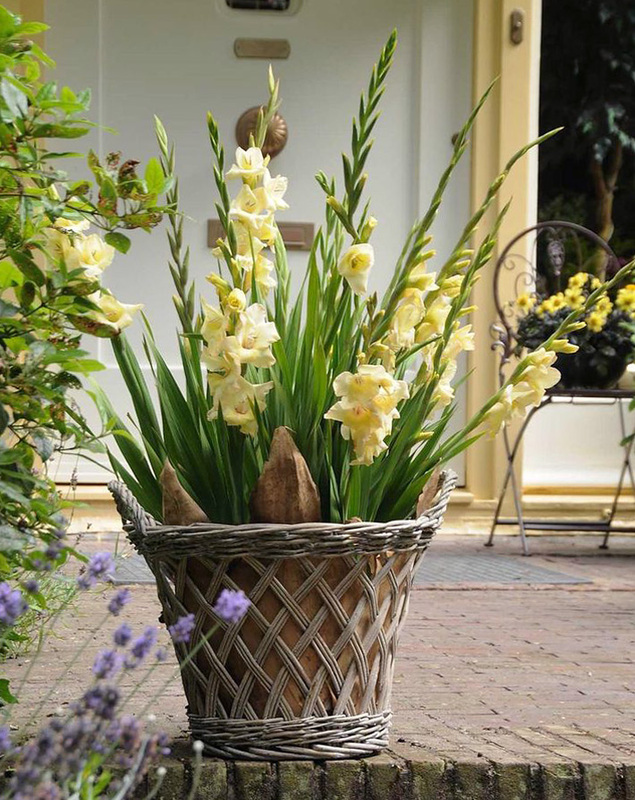 Plant gladiolus in pots in late winter or spring, when garden centers typically sell corms. Plastic pots ( Select a container with at least one drainage hole to ensure the bulbs do not sit in wet, soggy soil. A container that is at least 12 inches in diameter and 16 inches deep works well for gladiolus). Drainage material, such as broken pots or poystyrene pieces. Add good drainage material to the base of the pots, such as polystyrene pieces, broken pots, or pebbles. Fill the pots with multi-purpose compost and plant corms hairy side down, 15cm (6in) below the soil to prevent the stems from keeling over. Cover the corms with compost. Label each pot, then water thoroughly and leave to drain. Place in a warm, bright spot, such as a window ledge or in the greenhouse. Insert a stake next to each bulb or insert a large tomato cage around the corms if you are planting tall varieties that require support. Do this at planting time because you are likely to harm the roots if you insert the support when the plants are mature. In warm conditions, the corms will sprout within a few days. Keep the pots well watered. Gradually harden off the plants, then place them in a sunny outdoor location, once all risk of frost has passed.